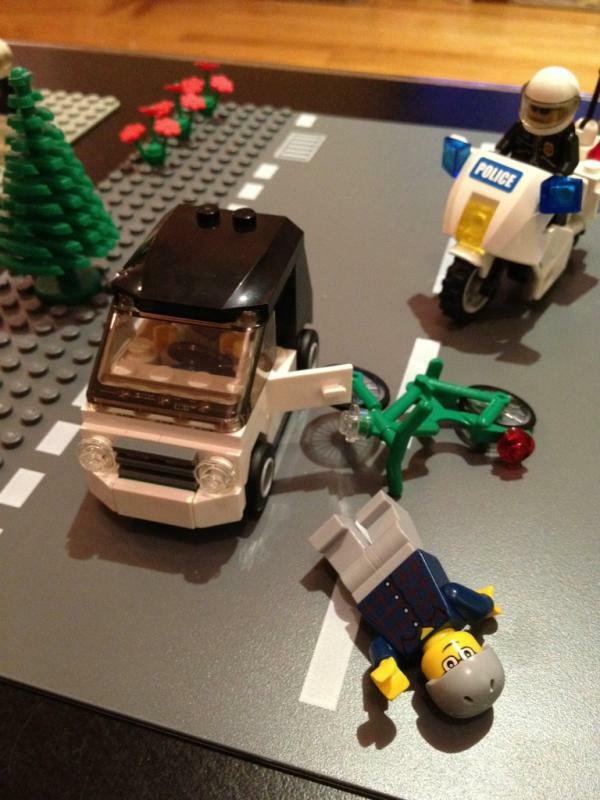 This is the first in a series of #bikenyc scenes depicted in Lego. Feel free to add your captions in the comments. NYPD reports no criminality suspected. Wait, Frank. Is the driver a liberal latte sipping hipster or the cyclist? Get your stereotypes straight! !